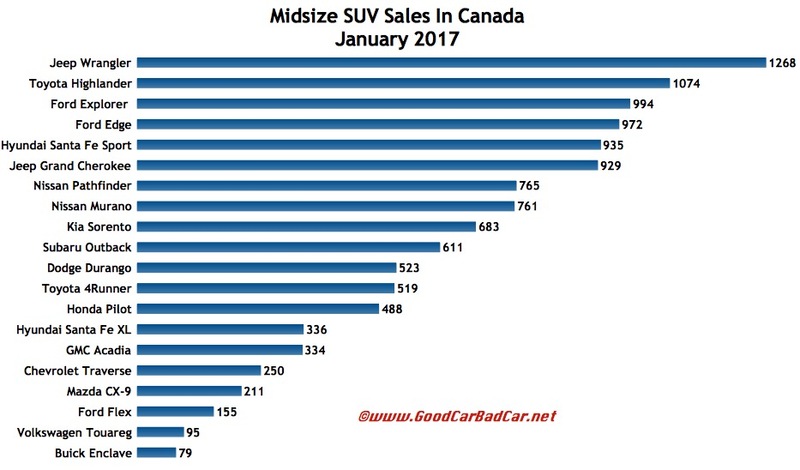 Canadian sales of midsize SUVs and crossovers – a widely varying group described here as including vehicles as disparate as the Hyundai Santa Fe XL, Subaru Outback, and Jeep Wrangler – rose 1% in January 2017. 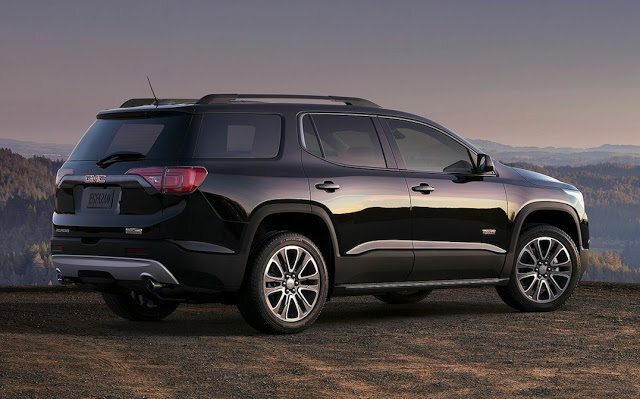 Sharp declines from the Buick Enclave, Jeep Grand Cherokee, Kia Sorento, and Nissan Murano were largely offset by big improvements from the Ford Explorer, Chevrolet Traverse, Dodge Durango, Mazda CX-9, and Toyota Highlander, among others. This group of utility vehicles accounted for one-quarter of all Canadian utility vehicle sales in January, a sector which grew nearly 12% in the first month of 2017. These vehicles, however, only accounted for only 103 of the nearly 5000 additional sales.